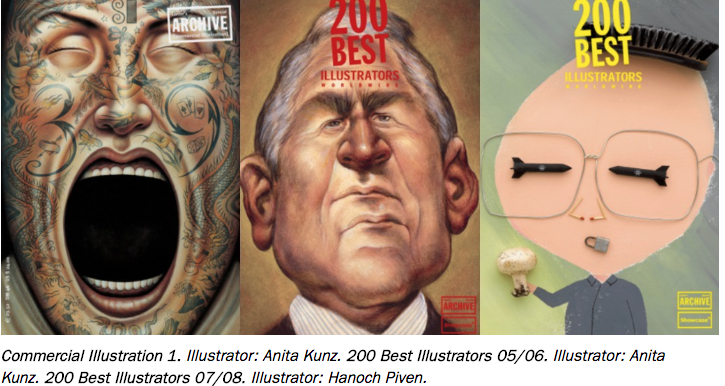 Later in August, our latest volume of the biennial series of 200 Best Illustrators 18/19 will be available worldwide. 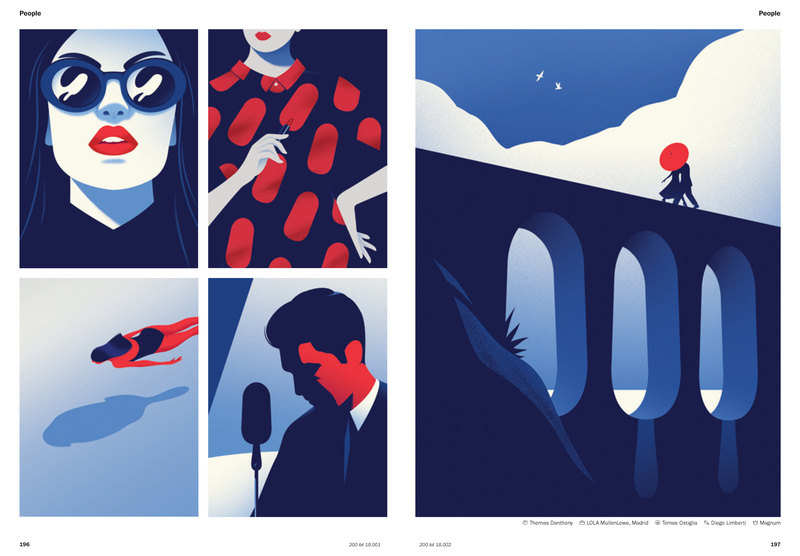 As on previous occasions, the volume has turned out to be a beautiful survey comprising 296 pages of the best illustration around, featuring talent from a total of 34 countries. 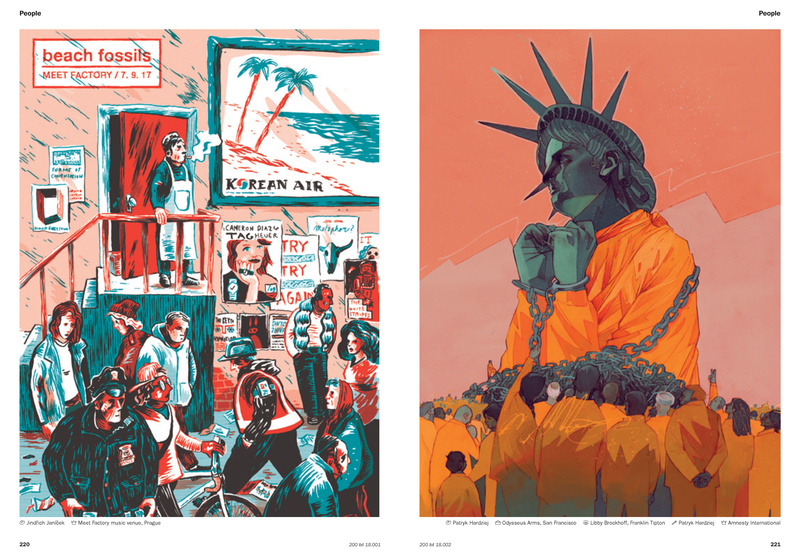 The list of countries of origin of the illustrators whose work is being featured as well as the number of works from these countries you can find at the bottom of this page. The work featured in this new book was culled by an international jury of 10 from a total 4000+ submissions from 55 countries. Over the past six or seven years, preselection of the work to go into the jury round has become more and more tricky. The main reason for this is the way Digital has informed all aspects of the illustrator's profession. And there is a very fine line indeed between a lot of illustrators' work and that of CGl artists, a group for which we have our own special, the 200 Best Digital Artists. The latest volume of that - it's also a biennial - we've started to work on right now and expect to publish it towards the end of the year. So our task was once again to keep the obvious "digital wizardry" that erases the borders between illustration, photography and CGI, in other words the brilliant stuff that is done in this field for our upcoming Digital special.This is not an easy task as quite a few CGI artists rightfully see themselves as illustrators. Still, we managed to keep the work featured within the realm of what is usually perceived as "illustration", even though increasingly computers play a big part in the creation of the work. From the jury, which I introduced to you before, I selected freelance writer, lecturer, curator and illustrator Dr. Matthew Eve, to interview at the beginning of the book. I have known Matthew for about 15 years, he's a genuine expert when it comes to the history of illustration and thus a great help for us as he's been involved in selecting work for our Illustration special for many years. He wrote his doctoral thesis at Oxford University about children's book illustration and book production in Britain during World War II and has published numerous articles and lectured widely on the subject of book illustration and book design. The interview with him is titled From Allegorical to Apocalyptic. 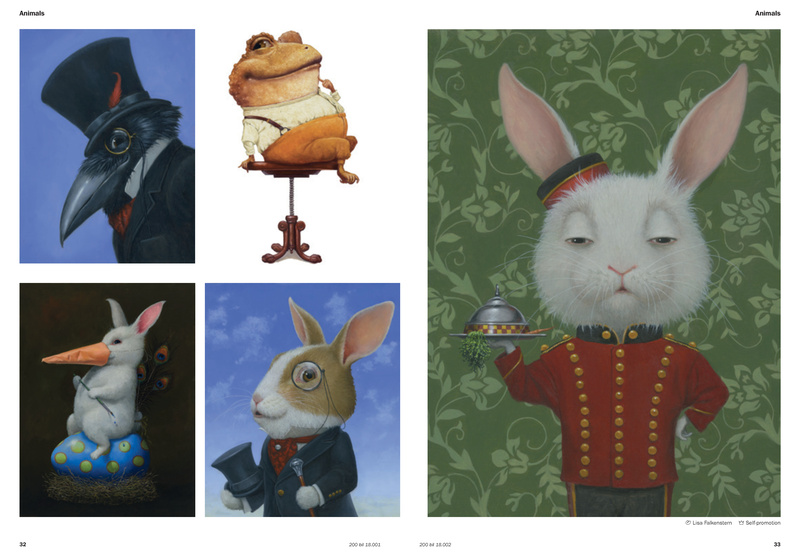 I hope you will enjoy our latest selection of illustrators' work. You can order copies here. 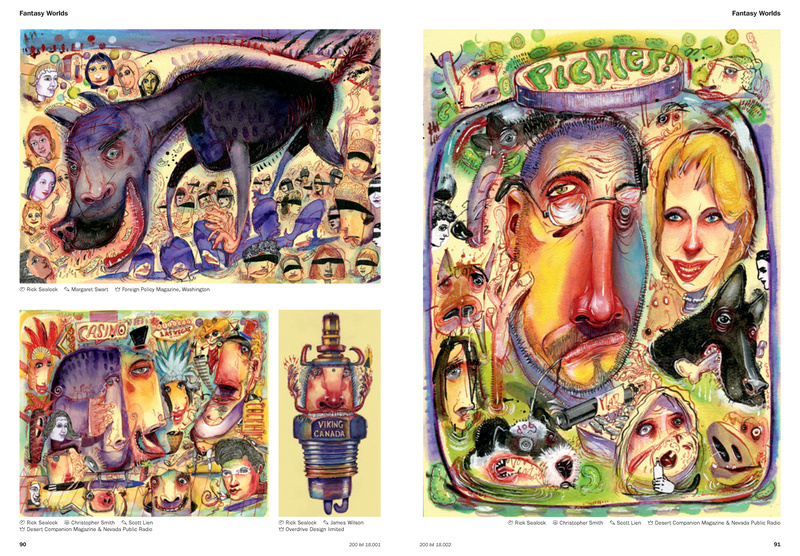 Spread from 200 Best featuring work by US American Lisa Falkenstern, who has been working for more than thirty years and is a Gold Medal winner from the New York Society of Illustrators. 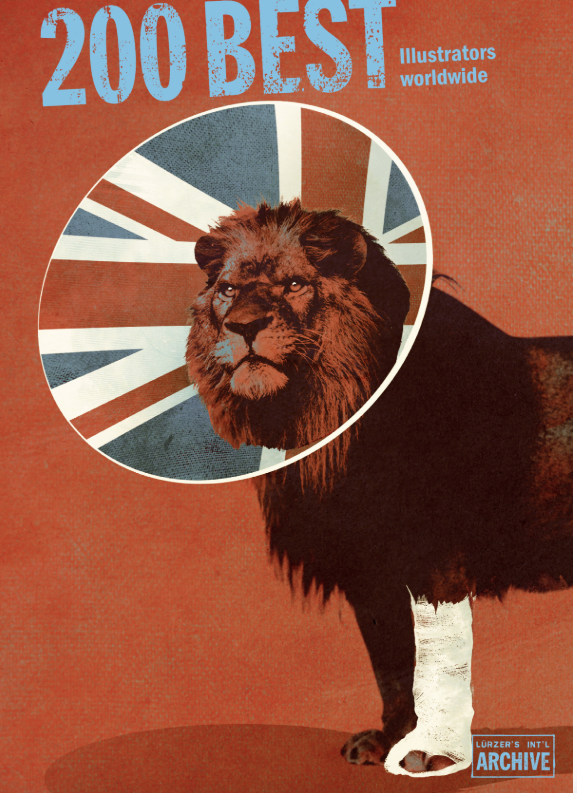 Work by Canadian illustrator Rick Sealock for a variety of magazines. Illustrator: French artist Thomas Danthony, based in London and Barcelona, for a campaign for Magnum brand ice cream by LOLA Mullen, Madrid. 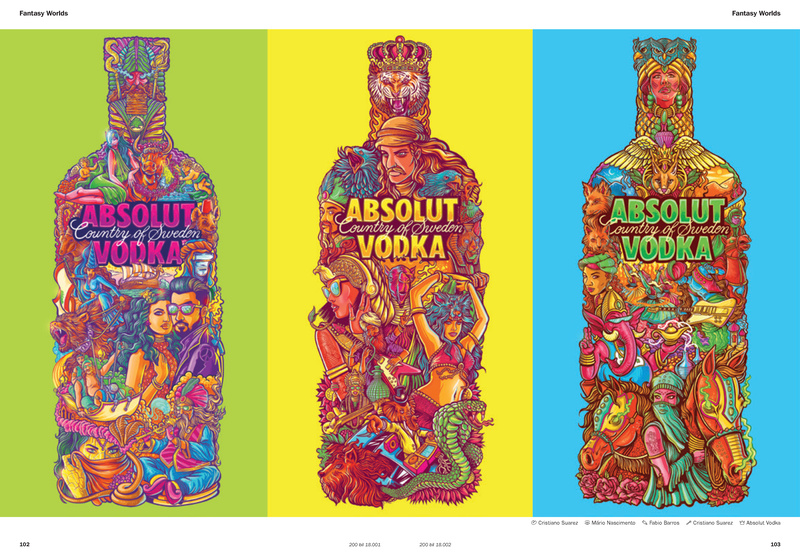 Brazilian Cristiano Suarez illustrated this campaign for Absolut Vodka. 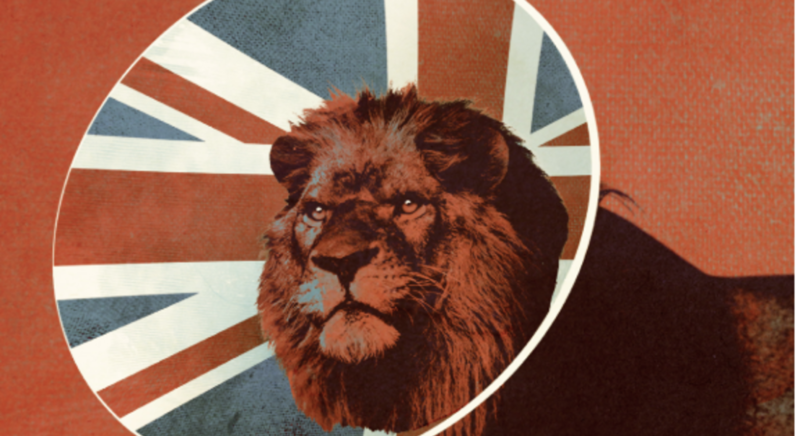 The illustration we selected for the cover page titled Brex The Lionheart and was originally created by UK illustrator Andy Potts for The Great British Postcard Competition 2017. 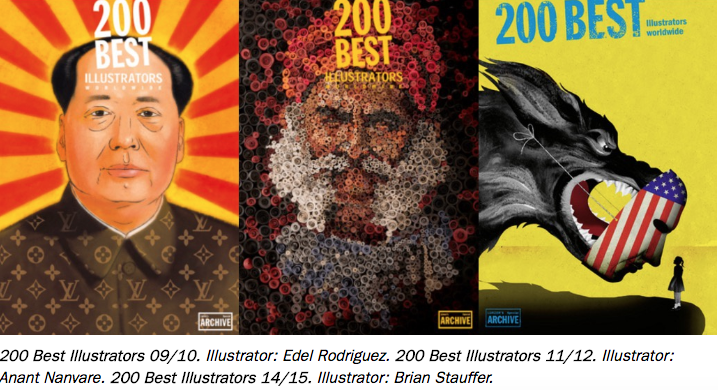 Previous covers of out 200 Best Illustrators books.